In remembrance of The Great War during this centenary year, this blog will explore the intriguing social history of that tumultuous time. The first two of my Muskoka Novels – "The Summer Before the Storm" and "Elusive Dawn" – take place from 1914-1918. During my four years of research I accumulated a trunkful of notes, and will illuminate some of the more interesting and unusual tidbits, beginning with the Age of Elegance. In the summer of 1914, London’s Daily Mail offered a £10,000 prize for the first man to fly an airplane across the Atlantic. It had been just over a decade since the Wright brothers’ successful flight, and planes still seemed little more than kites. So when war broke out, few people expected airplanes would have any military use, except for perhaps reconnaissance. But before long, pilots and their observers were dropping bombs and shooting each other out of the skies. To many intrepid young men, one-on-one combat in the vast heavens was preferable to the mud and blood of the trenches. There was a sense of freedom, gallantry, the thrill of seeing the world as few ever had. There’s a delightful passage from Cecil Lewis’s memoir, Sagittarius Rising, in which he recalls flying with his friend, Arthur. “Sometimes, returning from our patrol, we would break off and chase each other round about the clouds, zooming their summits, plunging down their white precipitous flanks, darting like fishes through their shadowy crevasses and their secret caves.” Like too many others, Arthur was killed. Royal Flying Corps (RFC) pilot training was often cursory, especially in the early days of the war. Many recruits had only 2 to 3 hours of instruction before being expected to fly solo. Training was so hazardous that ambulances were always on standby at the airfields. 8000 young men died in Britain during flight training, more than from enemy action. 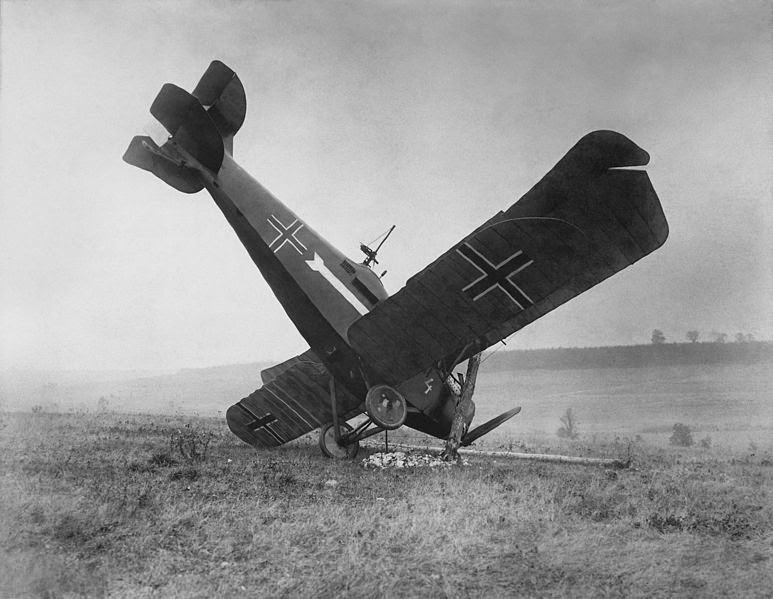 If they survived training and had logged as little as 15 hours of flying time, pilots were sent to the Western Front, where most lasted only an average of 3 weeks. Those who weren't killed, wounded, or taken prisoner might be posted out because of "nerves". Flying was extremely stressful and dangerous. In fact, the RFC considered a sporting man who could ride a horse and drive a car as a good candidate for pilot training. One third of all RFC pilots were Canadians. The exploits of my characters who become RFC pilots in The Summer Before the Storm and Elusive Dawn are inspired by real people and events. Copyright Gabriele Wills. Picture Window theme. Theme images by ozgurdonmaz. Powered by Blogger.